I'm sure that many of us have picked up seashells during visits to the beach. 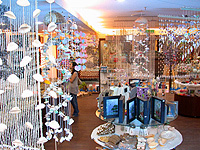 However, you probably haven't ever seen this shop's wide range of gorgeous seashells, made into beautiful, practical items such as lamps, wallets, mirrors, curtains and earrings. The Urchin Lamp goes for NT$2,380 while a seashell painting is NT$2,400. The owner proudly notes that his shop is the largest seashell supermarket in Taiwan, an observation this writer is happy to agree with. 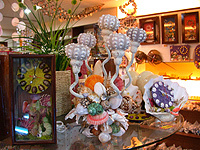 There are thousands of different kinds of seashells on the shelves. 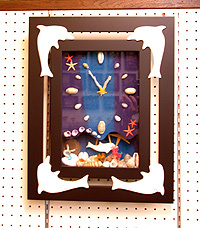 Depending its rarity, a single seashell can go from NT$5 to more than NT$10,000. This is a great place for people who love exploring new things. 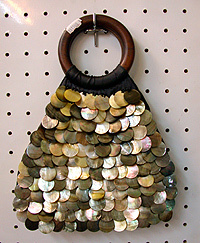 There are also classes to teach you how to create your own practical items from these beautiful seashells.